(NaturalNews) The European Union Food Safety Authority (EFSA) seemingly handed Monsanto a victory on November 12, when it released a report concluding that the company's global bestselling herbicide chemical glyphosate is "unlikely" to be a carcinogen. This marks one of the first times that a government safety agency has acknowledged that so-called "inactive" ingredients in chemical products may be just as dangerous as the active ingredients. 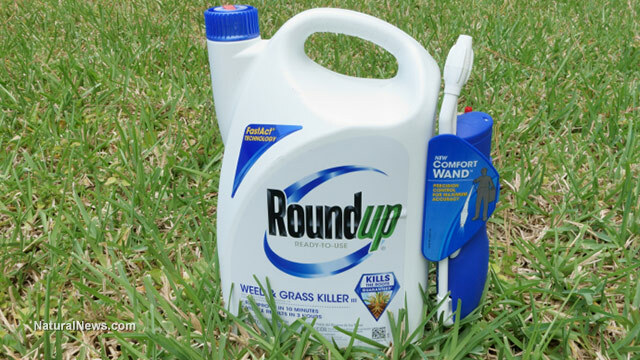 Roundup is one of the world's most popular herbicides, and its use has exploded since the advent of Monstanto's Roundup resistant ("Roundup Ready") genetically modified crops. In the United States alone, 250 million pounds of Roundup's active ingredient glyphosate are applied each year. Earlier this year, the World Health Organization's International Agency for Research on Cancer (IARC) officially classified glyphosate as a "probable" carcinogen, based on an extensive review of the research. The EFSA report is part of a re-assessment of glyphosate that will be used by EU member states to decide whether to continue allowing the chemical's use within their borders. It acknowledged the potential toxicity of glyphosate, setting an acute reference dose (ARfD) of 0.5 mg per kg of body weight for the chemical. This is the first time that any government has created an ARfD for glyphosate. An ARfD is the amount of a substance that can safely be consumed in food over a short time period, such as at one meal, or within one day. In its report, the EFSA addressed the difference between its conclusions and those of the IARC. The EFSA notes that its study examined only glyphosate on its own, and did not examine studies conducted on glyphosate formulations that included other ingredients (that is, all glyphosate-containing products sprayed in the real world). The IARC, in contrast, reviewed not just studies on glyphosate alone but also studies conducted on the safety of Roundup and other glyphosate-containing products. The EFSA's method is a result of the fact that EU rules require every chemical mixture to be assessed and marketed separately. Because of the difference between EFSA and IARC findings, the EFSA said that it is likely the supposedly inactive ingredients in Roundup and other glyphosate-containing herbicides that led to the genetic damage seen in the IARC studies. "Although some studies suggest that certain glyphosate-based formulations may be genotoxic (i.e. damaging to DNA), others that look solely at the active substance glyphosate do not show this effect," the EFSA wrote. "It is likely, therefore, that the genotoxic effects observed in some glyphosate-based formulations are related to the other constituents or 'co-formulants.' Similarly, certain glyphosate-based formulations display higher toxicity than that of the active ingredient, presumably because of the presence of co-formulants." The EFSA's conclusions highlight a gap in government safety testing policies that independent scientists have long warned about: laws typically require medium- and long-term safety tests of only of a product's active ingredients. Yet studies show that inactive ingredients may often be more toxic than active ones, or that various ingredients may interact to form a more toxic mixture. For example, a 2014 study in the journal Biomedical Research International found that in eight out of nine major pesticides tested, the commercial formula (to which people are actually exposed in the real world), was up to 1,000 times more toxic than the so-called active ingredient.